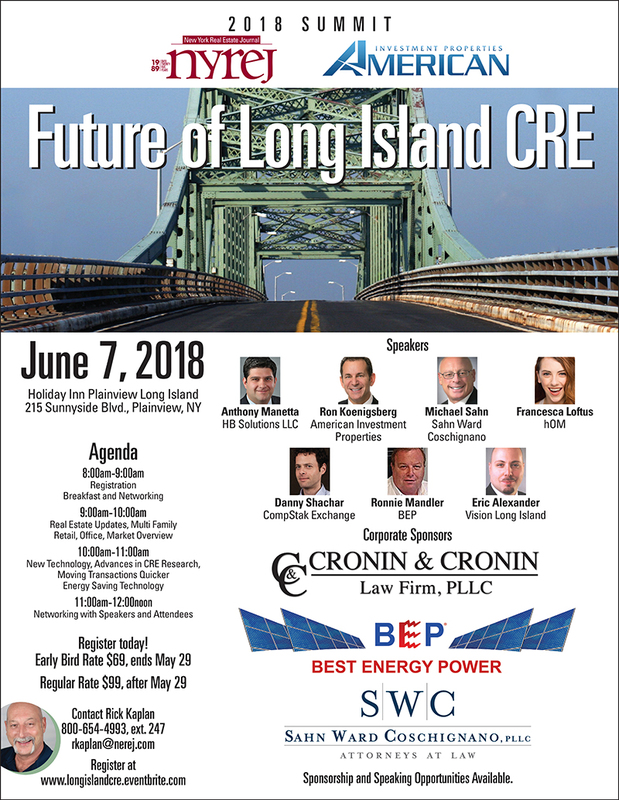 Plainview, NY The New York Real Estate Journal (NYREJ) will be hosting Future of Long Island Commercial Real Estate Summit on June 7, 2018, at the Holiday Inn, 215 Sunnyside Blvd. Future of Long Island CRE Summit is an annual event to discuss the issues and current advances that brokers, construction and property owners have continued to have in the region. Many investors, owners, landlords and commercial real estate brokers have recognized the financial benefit of speaking and attending this informative summit. 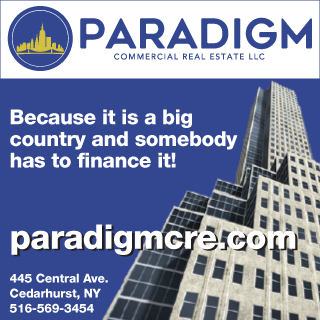 Long Island CRE Summits discuss the future of the business and how investors, property owners, legal, insurance, financing have a role in the the fast growing industry. Two panels with professionals who will share their knowledge on what you need to know to be part of the Long Island CRE Market. The speakers for this summit are: Ron Koenigsberg of American Investment Properties., Anthony Manetta of HB Solutions LLC, Eric Alexander Vision Long Island, Francesca Loftus of hOM, and Danny Shacher of Compstak Exchange. American Investment Properties is the partner sponsor, with Cronin & Cronin Law Firm, PLLC as the corporate sponsor. Early bird tickets $69 end May 29, regular ticket rate $99 includes breakfast. 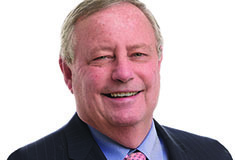 Rick Kaplan, emcee and event director for the New York and New England Real Estate Journal, produces 18 summits a year in New England and New York. Summit topics range from cannabis in CRE, construction, state of the markets, hotel & hospitality, property management, multifamily, office and industrial. The New York Real Estate Journal (NYREJ) twice a month for over 26 years., a bi weekly publication, reaches over 55,000 industry leaders who depend on and receive the most comprehensive and current coverage in commercial/investment real estate today. NYREJ offers 24/7 access to news and all published content, daily e-newsletter, bi weekly newspaper with a digital edition and monthly specials. Primary readership includes: investors, brokers, developers, builders, contractors, owners, auctioneers, bankers, lenders, government agencies, appraisers and property management services and suppliers.